7 Meals for Under $50 - Recipes That Crock! Are you ready to get the most for your grocery dollar? 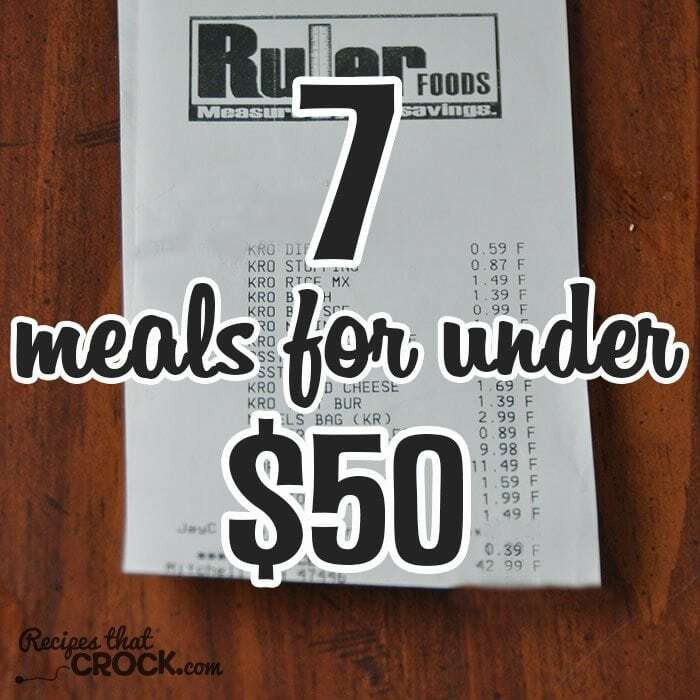 Then you don’t want to miss out on this list of 7 Meals for Under $50! Indiana Family of Farmers has asked me to take their $50 Challenge again this month and write up a sponsored post to tell you fine folks all about it! Haven’t heard of the $50 Challenge yet? It is where you take $50 and see how many meals you can make. So that is exactly what I have done again this month, and I can’t wait to tell you all about the yummy recipes I’ve been cookin’ up! 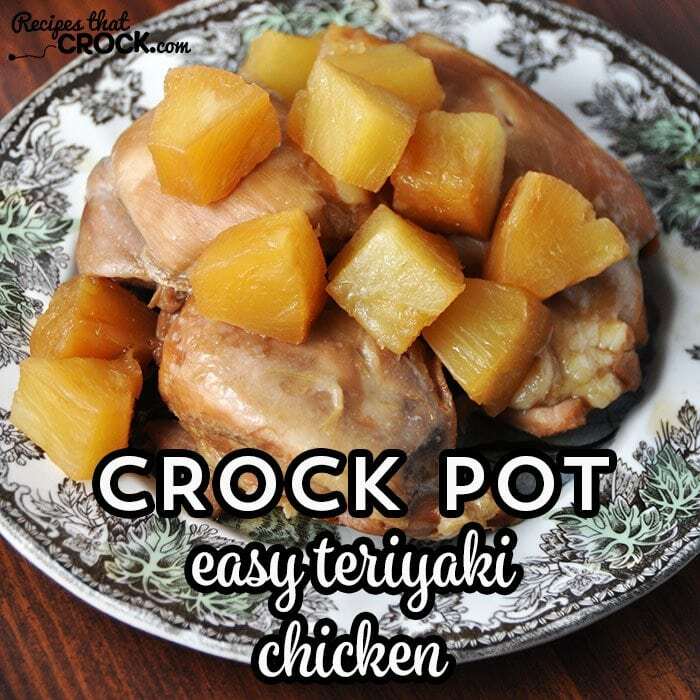 First up, I made up a new family favorite, Easy Crock Pot Teriyaki Chicken minus the oranges…however, you have enough money left over that you can buy an orange easily. We served this up with some yummy green beans and brown and serve rolls. 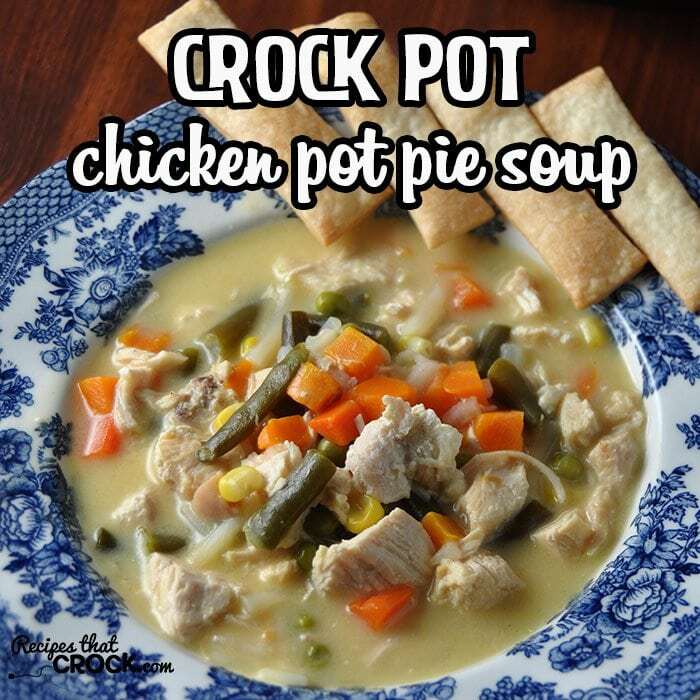 Next up is the Crock Pot Chicken Pot Pie Soup with pie crust strips. My kids devour their veggies with this meal, so it is definitely a keeper in my book! Need a quick and easy meal to throw together? Make up the rest of your hashbrowns from your Crock Pot Chicken Pot Pie Soup and whip up some eggs! Easy peasy! 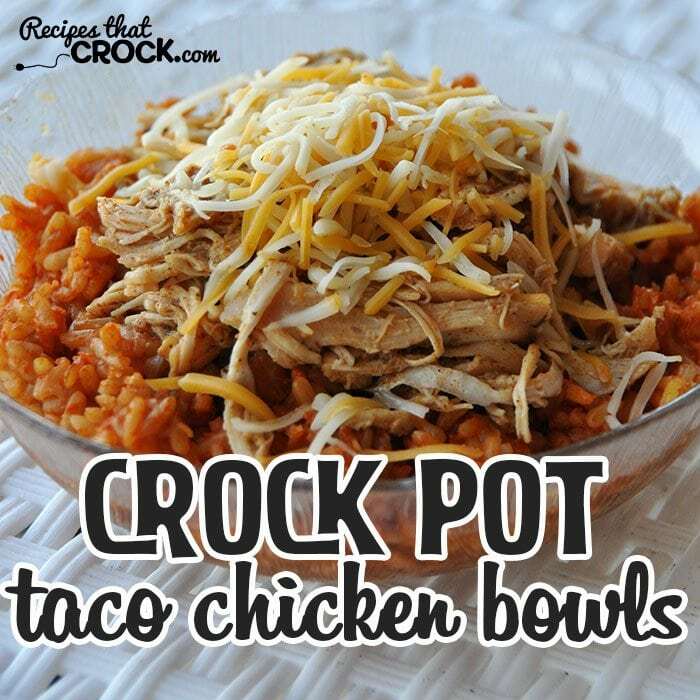 We made up these Crock Pot Taco Chicken Bowls while were on vacation. The sauce from the chicken and the Spanish rice go together perfectly! 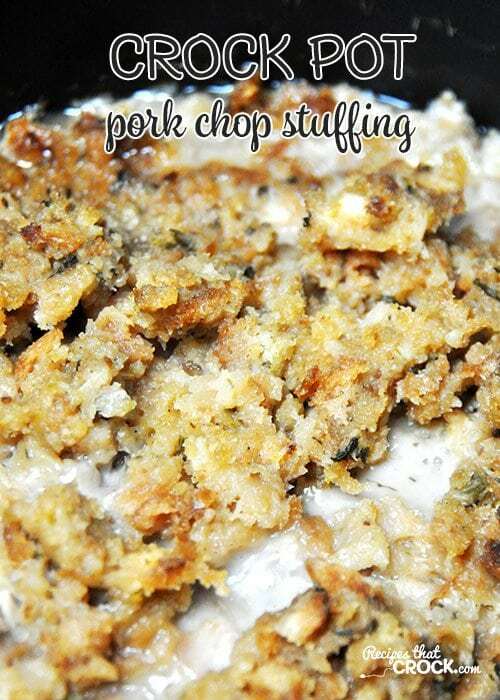 Another great quick meal to throw together is this Crock Pot Pork Chop Stuffing. We paired it up with some yummy green beans! 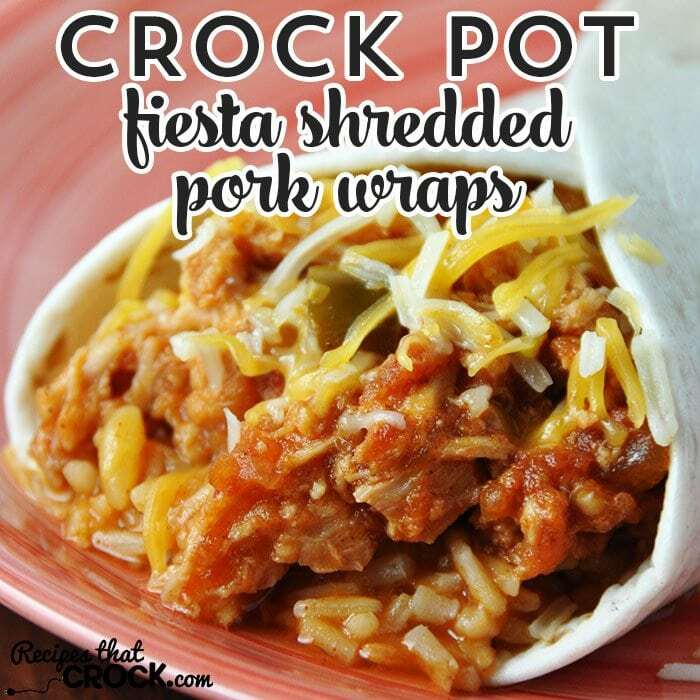 I love these Crock Pot Fiesta Shredded Pork Wraps! They are so yummy and a cinch to whip up. Don’t forget your Spanish rice. It really takes the wraps up a notch! 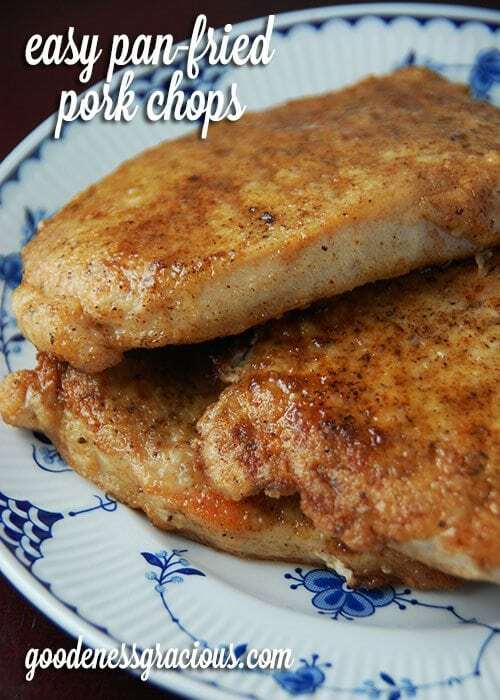 These Easy Pan-Fried Pork Chops that I made up over on Goodeness Gracious are a family favorite around here. They are incredibly easy to make and delicious! We served them up with corn and rolls! Happy cooking! I hope you enjoy these recipes as much as we did! All it takes is a little planning and you too can get the most out of your grocery budget!